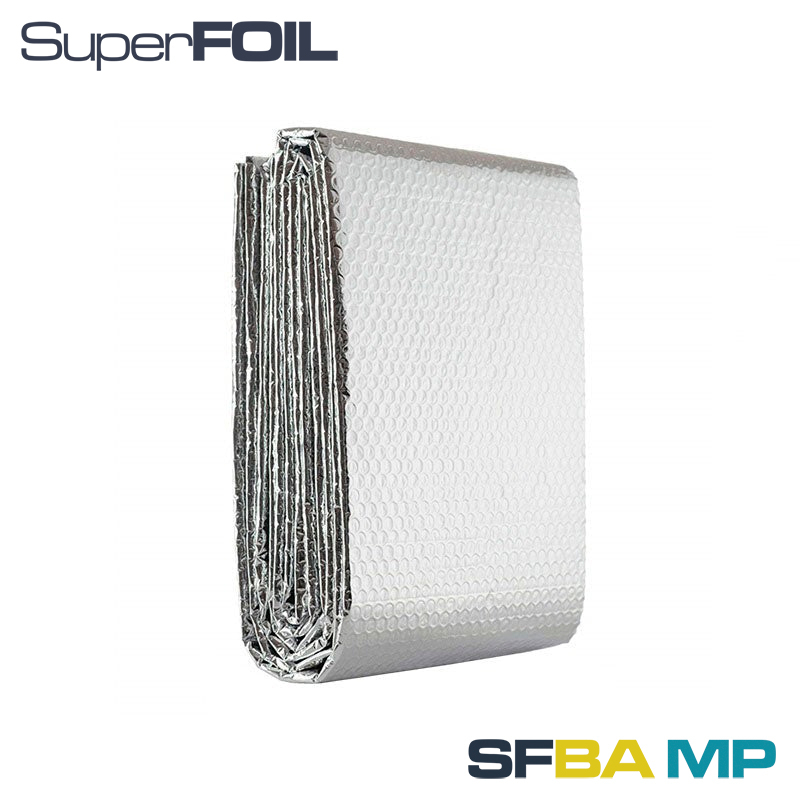 Each pack of SuperFOIL Heat Reflector is 5m long by 60cm wide and covers approximately 3 average sized radiators. It helps to reduce heat loss and thus saves money. This is a bubble foil type insulation to add additional performance against conduction and convection heat loss easily cut with scissors or a knife. Approximately 3mm thick, flexible and easy to install. Easy to install - fits all radiators & there's no need for your radiator to be removed! 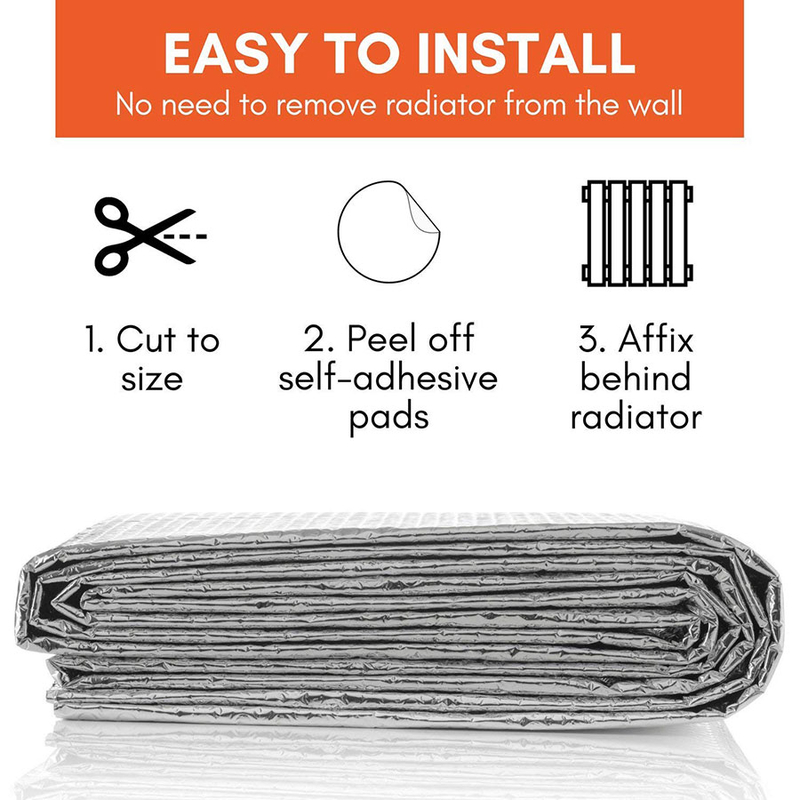 Self-adhesive pads are also included, so simply cut the insulation foil to size & stick to the wall behind your radiator. Reduce your bills - this high-quality foil insulation is specially designed to maximise energy savings & minimise heat loss in your home. Multi-radiator pack - each pack contains 5m x 60cm of SuperFOIL radiator insulation. That's enough for 3+ radiators! High performance - 3mm bubble foil insulation reflects over 95% of heat back into your room, giving you the best protection against radiation heat loss through low emissivity technology. the SuperFOIL SFBA radiator foil insulation is tested to the highest UK standards. Cut the SFBA to suit the radiator size. Measure the distance between the radiator brackets, then cut a slit at the correct distance to allow the SFBA to slide down over the radiator brackets. Use the adhesive pads to keep SFBA in position. SFBA is 95% efficient at Reflecting Radiant energy. Creating an air space between your wall and SFBA will give further benefits in conduction and convection performance too.